I’ve said it before and will enthusiastically say it again. As far as wine festivals go, nothing compares to the California Garagiste Festivals. From Paso Robles to Solvang to Los Angeles, the Garagiste Festivals have introduced me to some of the best wines I’ve ever had and have given me an opportunity to meet the often unsung, yet incredibly talented winemakers who produce them – many of whom I now consider friends. The Garagiste Festival is unlike any other wine event in that the majority of the wineries pouring are so small, they don’t have tasting rooms and can’t be found in stores. Visitors are given a rare opportunity to have the winemakers themselves pouring wine, answering questions, and offering an opportunity to purchase their wines – no frills, no pretense, no pressure, a priceless dose of education, and lots of fun. Thank goodness for the Garagiste Festival because, without it, I may not have had the chance to meet Andy Carini and taste his ridiculously good wines. Carini Wines are handcrafted by Andy and his wife Shawnee up in Trinity County, California – in the middle of the wilderness just over 3 hours from the Oregon border. From picking up fruit to crushing, punch down, bottling and labeling, Andy and Shawnee personally do it all. In the meantime, they’ve managed to secure well-deserved spots on the wine lists at some of America’s best restaurants, including Kali, Providence, Spruce and The French Laundry. When it comes to winemaking, they take a hands-off approach – nothing added, nothing taken away – allowing the wines to express a true sense of place. And from what I tasted, these wines clearly come from beautiful places. 2018 felt like the year of the female winemaker at the Garagiste Festival, and Amy Chenoweth of Chenoweth Wine was definitely making all of us females very proud. Husband and wife team Charlie and Amy Chenoweth make one varietal – Pinot Noir – and they make it really, really well. The Chenoweth family has been farming in the Sebastopol area for over a century and Charlie is known as one of California’s finest vineyard managers. With Charlie’s access to incredible fruit and Amy’s knack for winemaking, the Chenoweth’s are making some of the finest Pinot Noir the Green Valley and Russian River Valley have to offer. The first thing that drew me into the Murder Ridge Winery table was an iPad propped on a stand that was scrolling through images of bear, mountain lion, deer, hawks, wild boar, and magical foggy forest landscapes. I soon learned that all of these beautiful creatures make regular appearances on the land where Leslie Sisneros (another talented female winemaker) and Steve Alden (wine grower) craft their Murder Ridge wines. As both a nature-lover and one who is fascinated by dark and mysterious true stories (the Murder Ridge name comes from a true story about an event that occurred on their ranch), I obviously wanted to learn more and try their wines. Murder Ridge sources their wine grapes from the Mendocino Ridge AVA – a high elevation, cool climate area with rugged, steep hillsides that has been nicknamed “Islands in the Sky” due to the fact that many of the highest vineyards are perched above a thick blanket of fog that makes the mountain tops look like islands floating in a foggy sea. The vines in the Mendocino Ridge AVA produce small, loosely packed clusters of grapes with distinct flavors that can only be found in this unique micro-climate tucked in the wilderness. I tried a Pinot Noir, “Meylena” – a Syrah, Merlot, Zinfandel Blend, and two Zinfandels from two distinct vineyards – all of which were beautifully drinkable, bright and vibrant, multi-layered, and just plain delicious. I loved these wines and can’t wait to see what the future holds for Murder Ridge. I don’t feel like I can write about the Garagiste Festival without mentioning Weatherborne Wine Corp. I met Cris and Anya Carter for the first time at the 2014 Garagiste Festival: Southern Exposure in Solvang where they were pouring their first vintage – an insanely good 2012 Santa Rita Hills Pinot Noir. 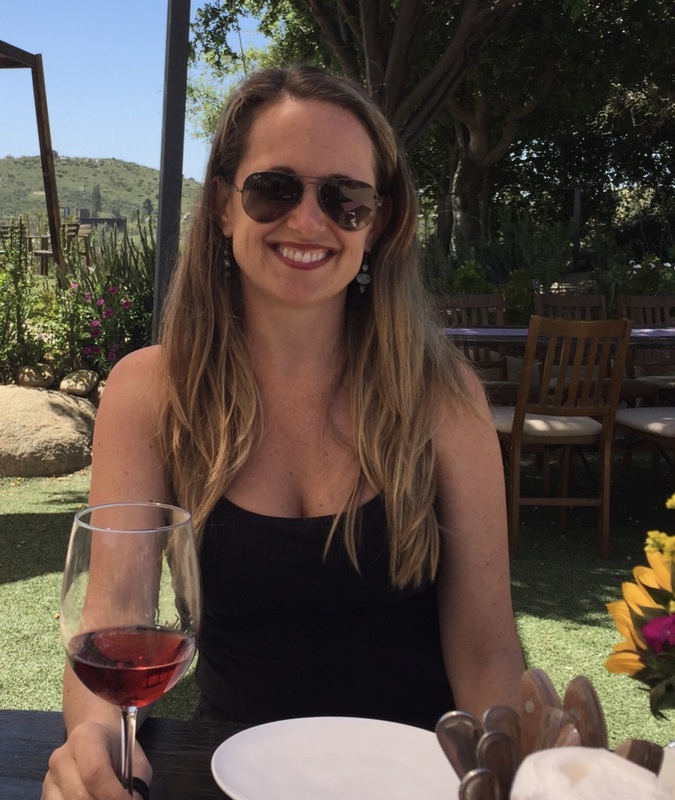 Since then, I’ve watched them release three more vintages of their Santa Rita Hills Pinot, a 2015 La Encantada Pinot Noir, a Santa Barbara County Grenache, and most recently, a Rose of Pinot Noir (which I have yet to try). Every new vintage they release only compliments the previous, all of which are impeccably made expressions of the grape. Weatherborne is definitely a label to watch as Cris and family have recently moved from LA to a parcel of land in Philo where they plan to plant grapes, apples, build a small winery and embark on the next exciting chapter of their journey. I’m living vicariously through them and wish them all the best of success. If they keep putting out wines like they have, I don’t think they have anything to worry about. Be sure to catch Murder Ridge Winery and many others on July 21st, 2018 as the Garagiste Wine Festival descends upon Santa Monica for Garagiste Festival: Urban Exposure! Bringing the Weatherborne up to the U.P. Nice update. Another great write-up! This festival sounds like such fun! I’m sure it’s impossible to pick a favorite wine, but I can pick a favorite NAME: Murder Ridge. That’s one I’m going to remember, and since there’s a story, too, I’ll crown that name the winner!